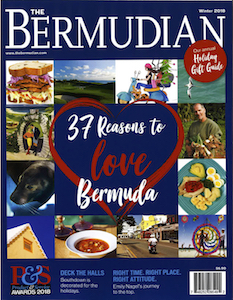 Bermuda’s history is marred by it’s inclusion in the African Slave Trade and the subsequent inequality and segregation of black Bermudians and while we like to think the atrocities of our past are well, in the past, we can’t forget our roots or the brave Bermudians who fought so hard to bring about the change that Bermuda so desperately needed. Here we pay homage to 6 civil rights leaders who paved the way to a brighter Bermuda. After the abolition of Slavery in Bermuda in 1834, many more subtle ways to persecute and discriminate against black citizens still existed. 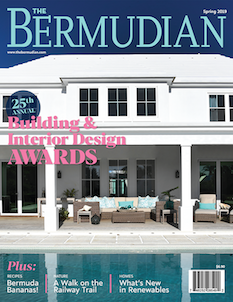 During Gordon’s life, which began a few generations after the first emancipation day, a powerful oligarchy of white businessmen controlled every aspect of Bermudian economic and political life. Segregation existed in schools, churches, and businesses, and made it difficult for black citizens to succeed. Any attempt to change this status quo by a black person meant risking their jobs or having their mortgages called in and losing their house. 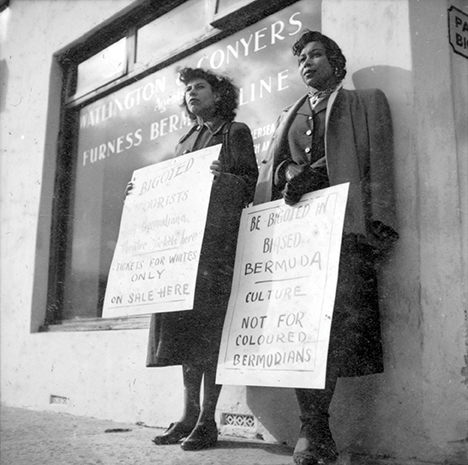 E. F. Gordon became the president of the Bermuda Workers Association, a trade union focused on the removal of segregated systems. He fought for equal rights for black workers and laid the groundwork for social change that came about after his death. His efforts resulted in a petition to the British government and included 5,000 signatures and highlighted the decreased opportunities for black Bermudians. 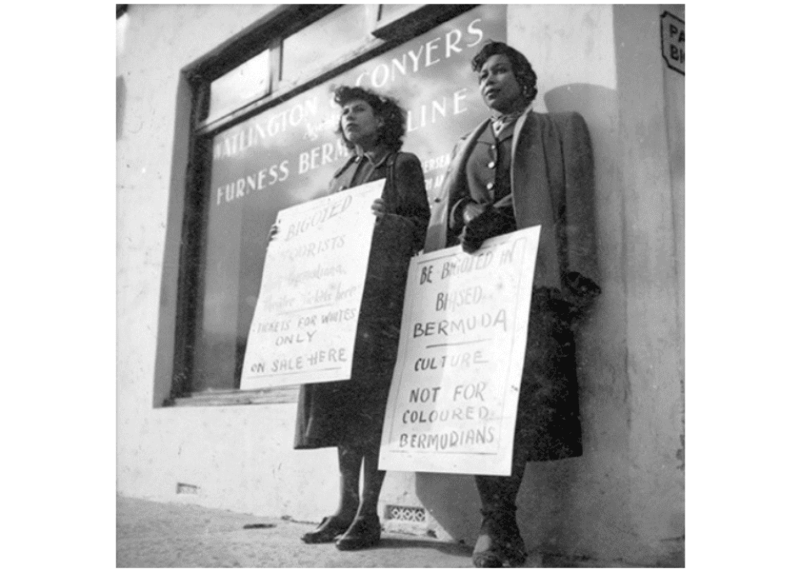 Though it was debated in the British parliament, no tangible change came about for black Bermudians. Dr. Clifford Maxwell, Florenz Maxwell, Izola Harvey, and Gerald Harvey, who lead the theatre boycotts in Bermuda, only revealed their identity in 1999. At the time, the theatre was the staple of Bermudian entertainment and a huge social event. Theatres on island were segregated, and staging a peaceful protest in front of the hubs of social culture had rippling impacts. At the time, the individuals kept their identities and the plan absolutely secret because they were worried about endangering the livelihoods of their parents by arousing white animosity. After the boycotts successfully resulted in the desegregation of theatres, the influence of the group spread to other industries and businesses, and eventually helped achieve universal suffrage. Edward Richards was the first black head of government of Bermuda and Bermuda’s first premier. Affiliated with the UBP, he was a powerful opponent of segregation. He was originally born in Guyana, but came to Bermuda to teach at the Berkeley Institute, and was given citizenship after seven years. He was also an associate editor of the Bermuda Recorder where he would make his criticisms of segregation known. He also assisted E. F. Gordon as he took his petition to the British government in an effort to end segregation. 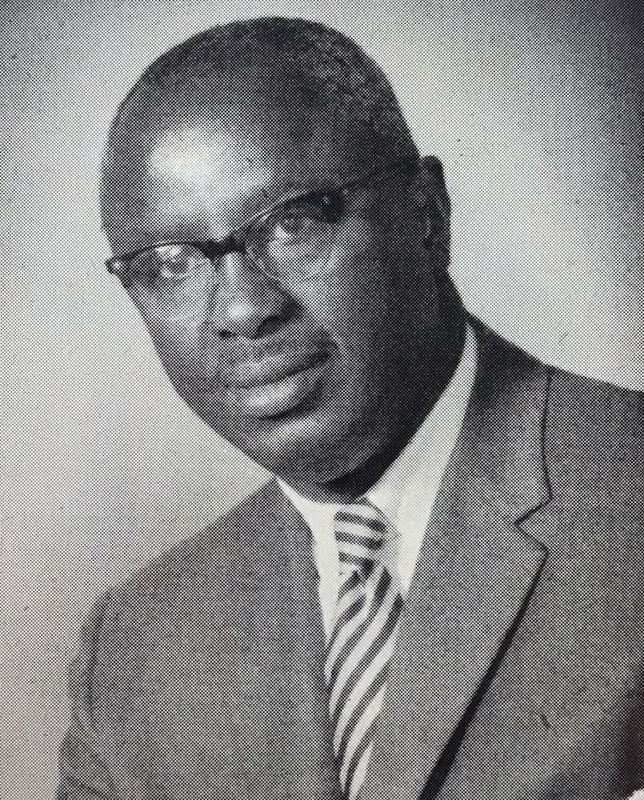 In later life, he became a lawyer, the fourth black lawyer called to the bar in Bermuda. In 1970, Richards was knighted by Queen Elizabeth for his efforts to promote equality in Bermuda and his position in political and legal communities. 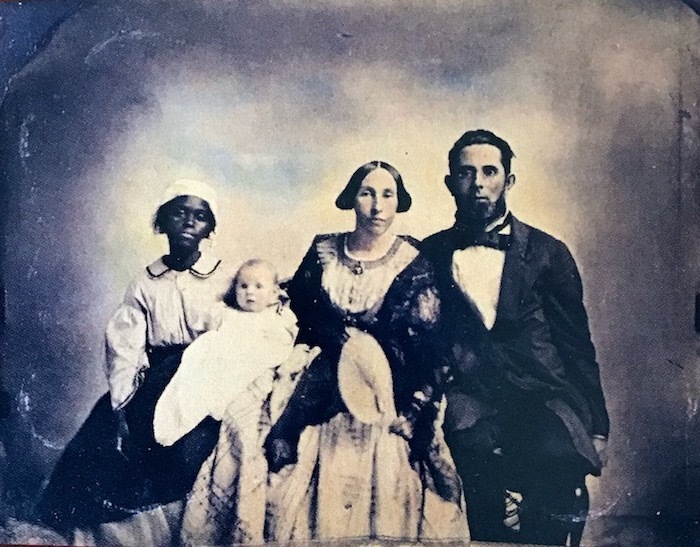 Her ownership was transferred many times, living both in Bermuda and elsewhere in the Caribbean, she eventually married Daniel James, a former slave who had bought his freedom. Prince relayed scathing commentary about her owner John Wood’s cruelty towards her and when her autobiography was published he attempted to sue the publishers but failed. Mary Prince’s autobiography remains the only first-hand account of a Bermuda slave. Dame Lois Browne-Evans was an unstoppable force. Always at the forefront of change, she worked tirelessly throughout her life to eliminate racial discrimination and create a Bermuda in which all could benefit equally. 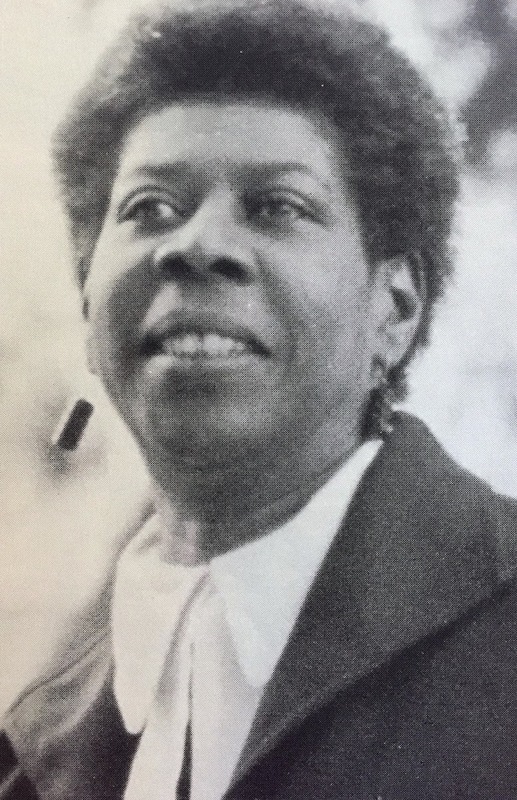 Dame Lois Browne-Evans was not only Bermuda’s first female lawyer, she was also the first black female Parliamentarian, first female Attorney General and first female Opposition Leader for not only Bermuda but the whole of the British Commonwealth. She was elected to Parliament in 1963 and retained her seat in every subsequent general election until her resignation in 2003. In 1999, after the Progressive Labour Party achieved their first election victory, she became Dame of the British Empire, the female equivalent of a knighthood. In early 2008, Dame Lois Browne-Evans was declared Bermuda’s first national hero. A skilled sailor who maneuvered ships through Bermuda’s dangerous reef system, James Darrell was a Bermuda slave who work as a pilot in Bermuda. Bermuda’s small size meant that many slaves worked in maritime trades, in contrast to slaves taken to the U.S. who were forced to take on agricultural roles. During his time as a slave, Darrell played a role in creating what is now HM Dockyard. 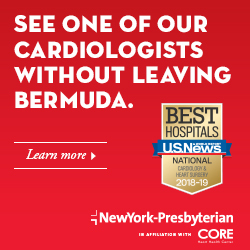 A surveyor, Thomas Hurd, was sent from Britain to prepare the land for construction, and three slave pilots helped him in his efforts, likely chosen for their extensive knowledge of the bays of Bermuda’s shoreline. After Darrell maneuvered the HMS Resolution into what is now Murray’s Anchorage to a crowd of impressed onlookers, the captain of the ship, Admiral George Murray, wrote to the governor to recommend his release. When he was 47, he was released for his outstanding skill as a pilot. Thought this meant that he could earn money, he was not able to vote, or participate in many other civil rights concessions.